Once contractors understand the versatility of expanded polystyrene (EPS) foam insulation and the wide variety of uses it can fulfill during a project, the possibilities can be endless. Having prior experience with Benchmark Foam EPS, Bob Boettcher contacted us while making plans for a new event venue. The Country Road Barn features a charming and rustic post and beam design that incorporates EPS in many applications. With many years in the concrete industry, Boettcher was familiar with using EPS for perimeter and sub slab insulation, but was very interested in simplifying the door stoop installation process. 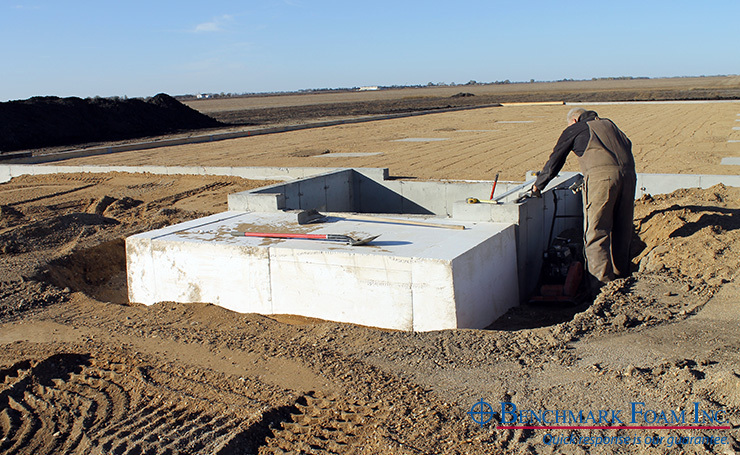 Benchmark Foam produces Stoop Fill that saves time and labor with a one-step installation to form the footings for concrete slab stoops outside of commercial and residential entrances. Placing reinforced concrete slabs over Stoop Fill outside entry doors for the life of a building is a common alternative to traditional building codes. 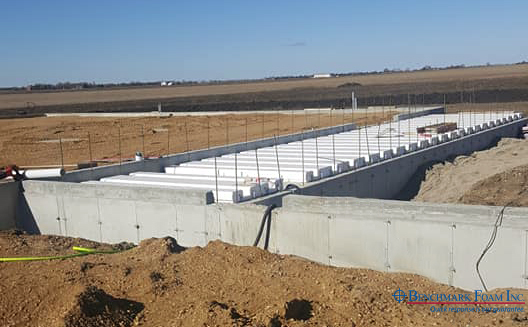 In addition to using EPS for Stoop Fill and perimeter insulation, Boettcher used Lite-Deck® as part of a water reservoir that was a code requirement in case of fire, as a backup to the sprinkler system. The reservoir is topped off with a concrete lid formed by Lite-Deck®. As an alternative to traditional fill material, such as dirt or gravel, eps360® was used for quick and easy dirt work completion. Boettcher also plans to use eps360® as ice melt in the canopy drive-up outside of the front entrance. Ice melt (also referred to as snow melt) is most often used in very cold weather climates and is comparable to in-floor heat systems, but for exterior walkways and/or driveways. 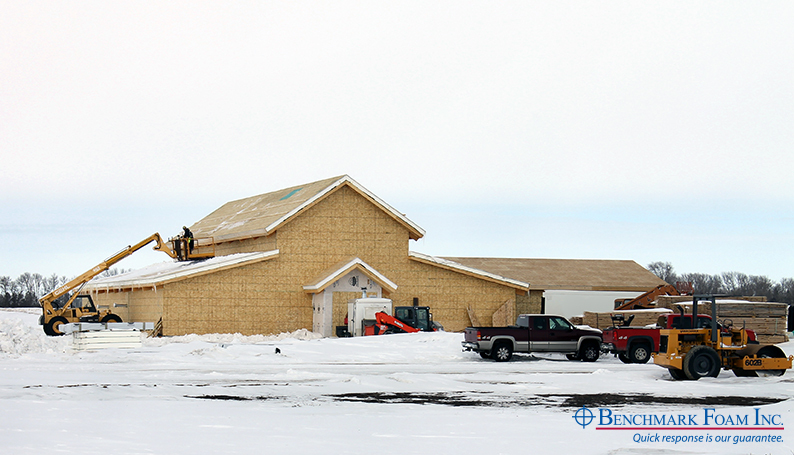 The Country Road Barn will value the insulating power that was carefully planned for its rural South Dakota location. Slated to open in May 2019, the 8000-sq. ft. building will feature a full restaurant and bar for evening meals open to the public during the week, but mostly private events on the weekends. For help on how to incorporate cost-effective insulating power into your next project, contact our team at 800-658-3444 or epsinfo@benchmarkfoam.com. With more than 30 years in the industry, you can trust the Benchmark Foam team to provide the expertise and high-quality products that contribute to the success of your project.